An apple a day might keep the doctor away but what about a banana? We have all heard the adage “An apple a day keeps the doctor away” right? It’s one of those popular expressions that have been repeated countless times over the years and has allowed us to understand that apples are the epitome of health, a symbol of good nutrition. But what happens if you do not like apples? What is another go-to, nutritious fruit for you to try? Have you forgotten about bananas? Bananas are great, that’s true, but do you really know how many wonderful health benefits these amazing fruits contain? 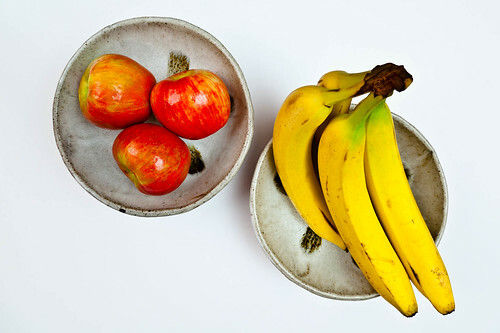 More than many of us realize; in fact, I’m pretty sure that most doctors would appreciate their patients adding a bright yellow banana into their diet just as much as a big, red apple. They are well aware that bananas provide dietary ﬁber which helps maintain low blood sugar and is also known to curb overeating. High amounts of potassium are known to be found in bananas, which has the ability to possibly lower a person’s blood pressure and can reduce the possibility of having a stroke or heart attack. The potassium in bananas can also boost the body’s overall ability to absorb nutrients. Bananas are really a fabulous fruit as far as I’m concerned! They taste great, low in calories (approximately 100 calories each) and they benefit your health in countless ways! Both are delicious and contribute to a healthier lifestyle. “An apple a day keeps the doctor away; a banana a day just makes good sense!” I never said I was a poet. How do you incorporate bananas into your diet? How much calories should I burn today? Check out this blog about how to calculate your basal metabolic rate (BMR), which will then give you some insight regarding how many calories you should consume and/or burn daily. Thanks so much for reading and your comment. simply but great information 🙂 . I don’t like fruit that much but I enjoy apple juice very much . Ask the Dentist: What foods protect against cavities? Why should you incorporate more fiber in your diet?